Asset Client Portal allows your landscaping business to be accessible to your customers regardless of whether or not it is during “normal” business hours. Stay in touch with your customer's needs, improve communication, provide on-demand information and increase business. Asset Client Portal offers a gateway for your customers to log in and access account information, view status of current work as wall as add service requests. Asset Client Portal is only available to users of Asset software. 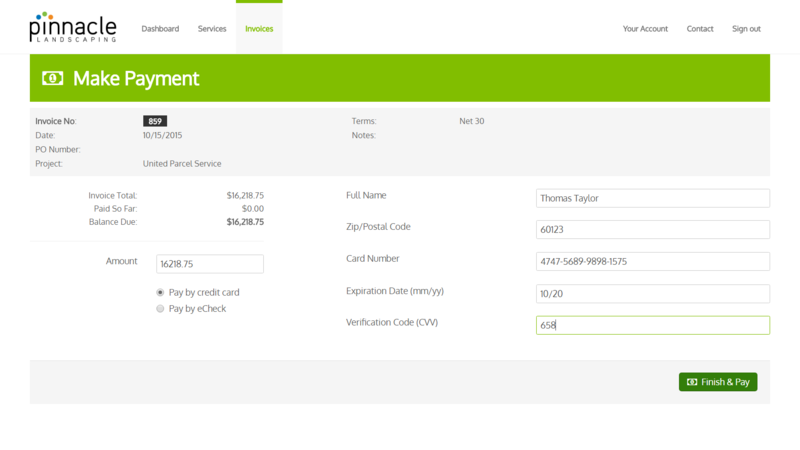 Allow your customers to view past invoices as well as current invoices. Customers also have access to the complete work history of when, where and what was done on their property. With Asset Client Portal, your customers can not only view invoices online but also make payments with a credit card and/or via e-check. The customer's account is automatically updated while the funds are automatically deposited into your company's bank account. Customers can review the status of scheduled and current work so they know when they can expect you to arrive and what work will be completed in the coming week. Customers can also view your recommended service requests for their property. Enable a list of selected product and service offerings your customers can choose to request more work. View these service requests in real-time and assign to your sales team or add to your work schedule. You know that efficient billing and better customer service means repeat business and quicker payments. 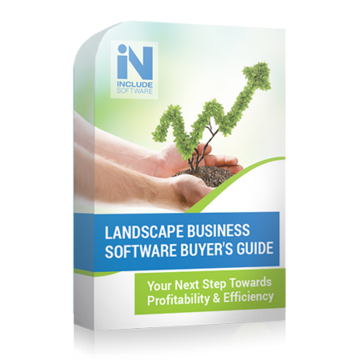 There are so many options to add customer portals, but will they truly integrate with the other software your landscape company uses? Here at Include Software, we know that a customer portal is probably just one of the features you're looking for in software. In order to find the right solution for you, we've created this helpful guide to ask all the right questions and get all the right answers. Using Asset for your company is a very beneficial thing. Just the fact that everything is in one system and that you’re no longer dealing with three different types of software. You’re using one tool for everything you need: from accounting, to customer relationship management, to proposal building, scheduling and tracking hours. The simplicity of the software is priceless.